When you bring all 6 taste in your food then your body will feel satisfied and regulates your appetite. Please let me know in the comments below about your experiences and your variations as well! I'm looking forward to hearing from you :-). Ayurveda is an ancient philosophy and means 'Knowledge of Life'. It is actually a lifestyle and looks at many areas in one persons life. Food is medicine and depending on your individual Dosha type there are certain foods you should prefer or reduce. sweet, salty, bitter, spicy, astringent, sour. When we bring every taste in our food then our body is satisfied. But the amount of the taste depends on your individual Dosha type and what do you need at the moment. For example a person with high Pitta should add little spicy, sour and salty taste to their food and prefer bitter (e.g. Chicorée), sweet and astringent (e.g. green tea) to keep their Dosha in balance. If you want to learn more about Ayurveda, what your type is and which food can balance it, then check out my special hikes on which I share my knowledge with you or join me on my Mexico tour on which I share with you during our tour my experiences with you. 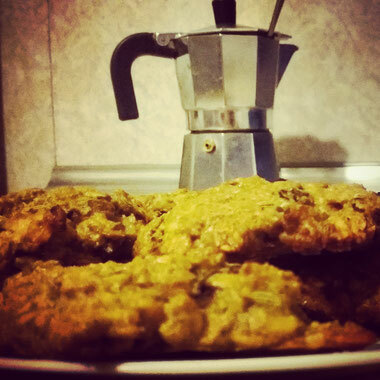 With the following recipe you will back yummy cookies which contain all the 6 tastes. The tastes sweet, astringent and bitter are predominate. The fennel seeds having a cooling effect for Pitta and as well they help the digestion which is good for Vata and Kapha. In general this recipe is good for high Pitta. Vata and Kapha should eat the cookies in moderation due to it might be hard to digest for them. Melt the butter slowly in a pot on little flame. Don't let it cook otherwise it will burn. Created with a tablespoon some little pillows and put them on a back-plate on which you put first backing paper. After it put the back-plate in the oven and turn the heat on 200°C and let them there for 12 minutes. 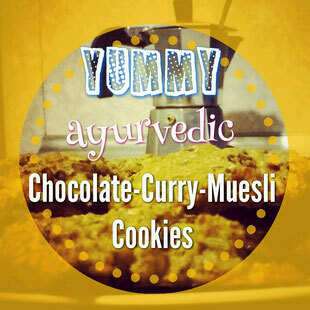 Now you can enjoy your lovely and yummy ayurvedic cookies!